The rite of Confirmation is an opportunity for a baptized person to renew their baptismal vows and receive the “laying on of hands” by the Bishop, who prays for a strengthening of the Holy Spirit in the life of the confirmed person. All baptized Christians, regardless of denomination, are welcome to receive Holy Communion at worship, and to become full members of the congregation if they so desire. Confirmation is a voluntary rite and is not a prerequisite to communion or membership. Confirmation is often sought by teens baptized as infants. Confirmation presents an opportunity for them to appropriate their baptismal vows and publically commit their lives to Christ. In such a case, the “laying on of hands” by the Bishop is somewhat analogous to ordination as the emphasis is on praying for the Holy Spirit to strengthen the confirmed person for Christian service. Teen confirmation preparation classes are offered every year from September until May and involve weekly Christian education classes especially designed for young teens. 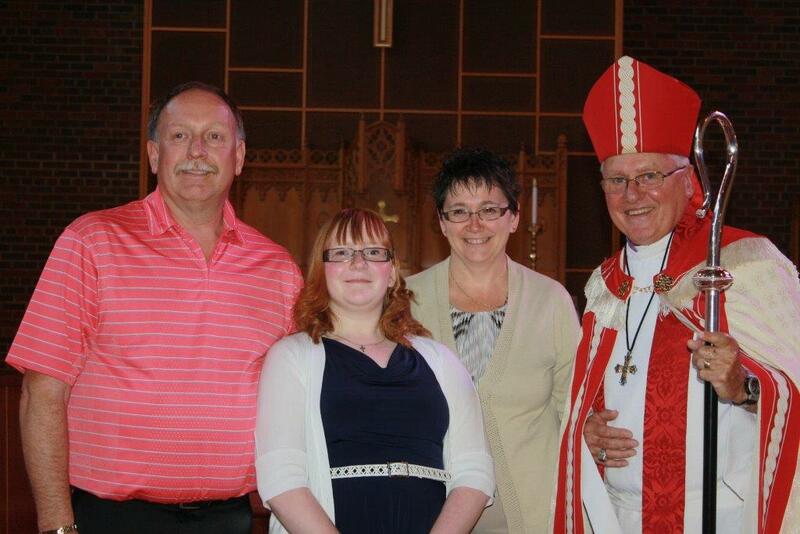 Candidates for teen confirmation can be grade 7 and older. Adults will often ask to receive confirmation as a way of publically renewing their baptismal vows and their commitment to Christ. In some cases, adults will seek confirmation as a way of being blessed by the Bishop and thus formally committing themselves to the Anglican Episcopacy (Bishops). Adult preparation for confirmation is offered yearly. In order to register for confirmation preparation or for more information, please contact the church office. Note: Participants in the teen confirmation classes must be registered in September.